What a way to ruin your day! The concept of black swans was introduced in a book of the same name by Nassim Taleb, a long-time critic of risk management. If you were around in the 1990s, you may recall him labeling people “charlatans” for using value-at-risk. The third criteria is gratuitous, so people often ignore it. For risk management, the implications are obvious: If the organizations we work for face risks we can’t even conceive of—black swans—we are powerless to address those risks. But Taleb doesn’t waste his catchy phrase—black swans—criticizing risk management. For over a decade, he has been reinventing himself as a bubble-gum philosopher. He positions his black swans on the stage of the philosophy of history with a list of what he suggests are six historical black swans. The list is not particularly nuanced—the first two examples are World War I and World War II. Are these black swans? Do they actually conform to Taleb’s definition? OK. Let’s go through the list. Starting at the top with “the events of 1914”, these would be the assassination of Archduke Franz Ferdinand and the subsequent First World War. Do these represent a black swan? Are they beyond the “realm of regular expectations”? Assassinations were common even before the Roman Senate assassinated Julius Caesar. By 1914, four Russian Czars had been assassinated as well as three United States Presidents. The Sarajevo police chief warned repeatedly that security precautions were inadequate for the archduke’s visit. The subsequent assassination was within the “realm of regular expectations”. And so was World War I. Europeans had been waging wars since prehistory. For years, they had been preparing for another, amassing weapons and forming alliances. Yes, World War I witnessed unprecedented bloodletting and grinding trench warfare. But the trends toward total war and increasing body counts had been going on for a century. America’s Civil War had also experienced unprecedented bloodletting and grinding trench warfare. So the assassination of Archduke Franz Ferdinand was a déjà vu event. World War I was a gathering storm event. What about “the rise of Hitler and the subsequent war”? Both were gathering storm events. War clouds had accumulated during the 1930s, and there was nothing beyond the “realm of regular expectations” in the rise of a ruthless dictator. History is full of ruthless dictators. Hitler even explained his plans in a two-volume book, Mein Kampf, in the nid-1920s. What about the “demise of the Soviet block”? Empires fall. Some are defeated militarily. Others rot from withing. The fact that the Soviet Union would fall was within the “realm of regular expectations”. So was the manner in which it fell. This was a déjà vu event. Next on the list is “the rise of Islamic fundamentalism”. Violent political-religious movements have populated history. Consider the Jewish revolt against Ancient Rome, which lead to the destruction of the Jewish temple. A more recent example is Irish resistance to British rule. Such movements have seeds dating back decades, if not centuries. There are warning signs. Let’s not forget that the Muslim Brotherhood was founded way back in 1928. Taleb claims all inventions are black swans, but I disagree. Since the dawn of the industrial revolution, we have become accustomed to transformative inventions. Over the next hundred years, I expect transportation, communication, business, construction, agriculture and entertainment will be transformed. I don’t know specific details of the inventions that will facilitate this, but I know those inventions will come. When they come, they will be déjà vu events. Was the 1987 stock market crash a black swan? C’mon. Market crashes and financial panics have been going on for centuries. By historical standards, the 1987 crash was mild—another déjà vu event. Based on a reasonable interpretation of the definition, I find none of Taleb’s examples to actually be black swans. Maybe I’m missing something. Does Taleb believe it is the fact that we cannot predict specific details of an event that make the event a black swan. If that is the case, his black swans theory states the obvious—humans cannot predict specific details for the vast majority of future events. This would render virtually every significant event a black swan. Remember that for an event to be a Black Swan, it does not just have to be rare … it has to be … outside our tunnel of possibilities. OK, I am not going to try to make sense of Taleb’s so-called theory. I am not going to attempt a systematic criticism. That would tax your patience and mine. So how do you prepare for risks you cannot imagine? This is an embarrassing question for risk managers. But it is also a hypothetical question. So how many angels can dance on the head of a pin, anyway? We have seen how—in my opinion—Taleb failed to identify a single historical event that conforms to his definition of black swan. 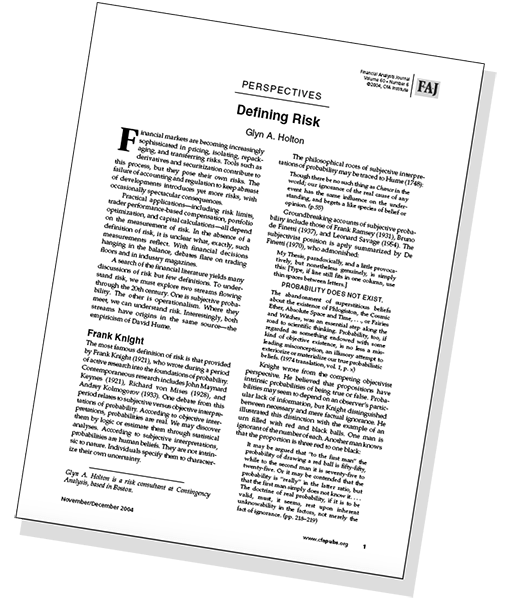 If we narrow the focus to risk management failures, can we identify any that conform to the definition? Last week I shared a list of prominent risk management failures from the past 20 years. I have just gone through that list and identified each one as either a gathering storm, déjà vu or black swan event. Here are the totals. You can see details of my analysis here, but let’s highlight a few representative examples. One specific concern in the futures area is the level of margin calls paid … without knowing precisely on whose behalf the cash is being paid. So Barings was a gathering storm event. The 1995 scandal over Bankers Trust’s misleading derivatives sales practices is interesting. Its fallout transformed sales practices industrywide. I don’t think anyone anticipated that, so on that basis we might consider the scandal a black swan. But from the perspective of risk management failures, the scandal was an all-too-familiar story: arrogant bankers took advantage of clients and suffered reputation damage as a result. From that standpoint, it is a déjà vu even. What about the 2011 tsunami and nuclear disaster at Fukushima? If you build a nuclear reactor right on the shore of earthquake-prone waters, tsunamis are a clear risk. Seven years earlier, another tsunami killed 230,000 people in fourteen countries. Fukushima was a déjà vu event. As a final example, consider GM’s 2014 auto recalls. Through June 30, the firm made 45 recalls effecting 28 million automobiles worldwide. One particular problem was faulty ignition switches, which could cause car engines and electrical systems to shut down while driving. Several people were killed. GM’s management was aware of the problem for at least a decade, yet they continued to manufacture and ship cars with the defective ignition switches. This was a gathering storm event. What these examples suggest, and my analysis concludes, and my 20 yeas in risk management confirm, is that black swans are not what cause organizations to suffer losses. Whether or not black swans are even a well defined notion is irrelevant. As a practical matter, risk managers need to be concerned with two types of events: gathering storm events and déjà vu events. And we have tools to address each. In the case of gathering storm events—where we perceive a specific problem developing—we can address that specific problem. How to do so is usually straightforward. Often the challenge is overcoming institutional inertia or resistance to the solution, as was evident in our Barings and GM examples. We address déjà vu events with standard precautions, such as maintaining hedges, enforcing credit limits or conducting emergency drills. In this way, we avoid or mitigate problems without having to specifically anticipate them. This is serious, constructive work. Worrying about hypothetical black swans doesn’t help. An excellent piece of analysis. The advice not to waste time on hypothetical black swans is particularly useful. Look forward to seeing more of your thinking. I get the sense that all this is a semantic discussion, though. The one element that seems to be missing is time. By time I mean the time you have to react to an event. In essence, when you implement risk management tools, you are buying yourself time to react to mitigate or eliminate a negative event. Unfortunately, if you don’t know how deep the event will go, you have little basis upon which to measure how much you should invest in the tools. 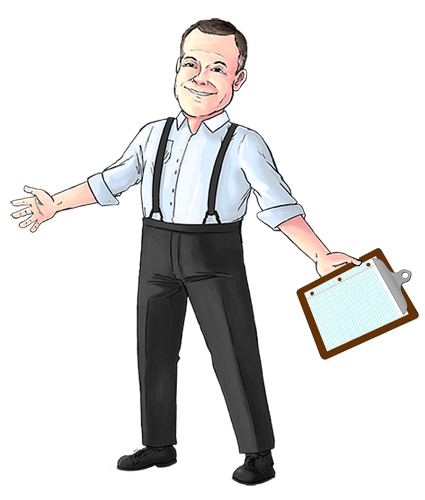 A black swan in this respect is an event which occurs so quickly that it overwhelms your existing tools or whatever tools were or are possible to put in place without compromising the business’ economic rationale. I think you are right. It is semantics. A black swan event is whatever you want it to be. It takes an author years to get her book published, and it becomes a best seller. Taleb uses this as an example of a black swan. I would say it is a pretty common occurrence. Martin Davies commented on LinkedIn about risk analysts who label any risk they don’t anticipate a black swan. He says, for the analysts, black swans are a “get out of jail card”. 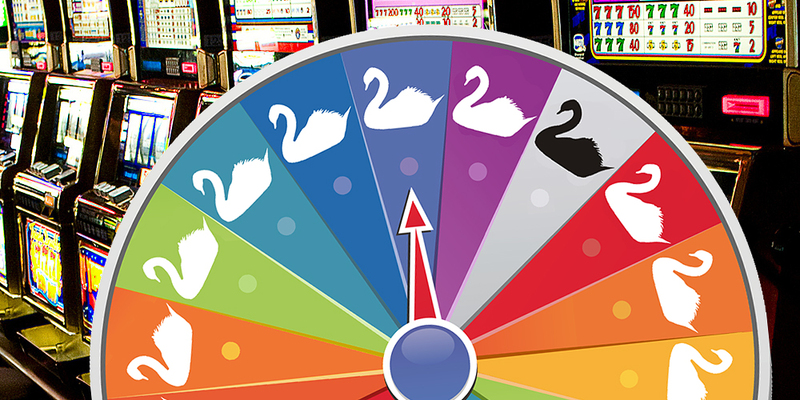 You perceive black swans as adverse events that strike so rapidly they overwhelm. But Taleb doesn’t. He includes events that emerge gradually. So black swans can mean anything. But if a term can mean anything, doesn’t is also mean nothing? The sentence “..avoid or mitigate problems without having to specifically anticipate them” is one good point to refute the “All-are-Black-Swans-so-Risk-management-is-irrelevant” argument. Moreover, not many risk management practices aim to mitigate 100% of the risk. Sceptics can ponder over, for example, what the 1% in the 99% VaR could mean. 1) Think about future tail events. Stretch your imagination. Now, for example, let’s model a pandemic or a US government default. If you assume that these events are gathering storms you probably made a killing from shorting bank stocks before the (last) global financial crisis. That was a gathering storm as well… in hindsight! 2) Look beyond the numbers. Many in the financial services industry have probably seen VaR numbers based on flawed assumptions (normal distributions, simple correlations etc.). Thinking about possible events rather than just analysing the numbers the model spat out is helpful. You could call that stress testing, I guess. 3) Assess whether you are rewarded for tail risk. You want to be long the black swan not short. So as an example, and to link it back to my earlier point maybe you want to consider buying CDS protection on the US for a cost of 16 bp and small downside rather than sit on 30 year US treasuries at current yields / inflation levels. Now I admit, Taleb would say that you cannot predict the tail events no matter how hard you try, but I think the Black Swan concept helps to stimulate discussion and identify blind spots on (or off) your balance sheet. 1. Risk managers have been considering low-probability, high-impact risks all along. If some poser loudly announces we should do what we have been doing all along—and he calls us charlatans to boot—I am liable to ignore him. What are you liable to do? 2. Normal distributions and correlations are only “flawed” if you have been drinking Taleb’s Kool Aid. Those same tools are widely used in derivative pricing models, but have you ever heard Taleb call financial engineers charlatans? Why the double standard? Models aren’t “right” or “wrong”. They are merely “useful” or “not useful”. If a value-at-risk measure passes robust backtesting—as many do—that’s all I require. And yes, we don’t need Taleb telling us to stress test. We already do that. 3. So “you want to be long the black swan not short”? Really? You could waste a lot of money doing that, waiting for that black swan to some day arrive. If you live in a desert, are you going to invest in flood insurance, waiting for that million year flood? Among the many criticisms that might be leveled at Taleb is this: he offers no actionable advice. Noah: I don’t think Taleb has a point. He has JM Keynes’s point. I have yet to find anything in his work that was not already in JMK’s The General Theory or Treatise on Probability. Glyn went over some of this in his 2004 FAJ article on Frank Knight’s risk vs. uncertainty. Risk is measurable like the probability of a poker hand, vs. uncertainty where you cannot scientifically justify a probability distribution as in the prob of a war breaking out in a certain time frame. Being uncertain about the prob distribution is not fixed by fattening out the tails. I like to think in terms that VAR addresses the first risk, but is not built for the second. That takes economics which unfortunately has its own issues. Mainstream economics was hijacked by New Keynesian and New Classical economists who could not conceive of the idea of a crash like this. Non-mainstream economists were screaming that the Great Recession was possible, and to Glyn’s point this was not a Black Swan to them but obvious to those of a certain educational background. Just my two cents is that one needs to look beyond historical price series and into the underlying framework. Reading Taleb’s book, I had a similar feeling that it lacked originality. But he borrowed more widely than from just Keynes. I find his failure to cite sources troubling. In the entire book, I found just one passage that came close to being a valid citation. It was an indirect acknowledgment that Bertrand Russell discovered Russell’s Paradox. It’s not true black swans serve no purpose. Black swans serve as a useful explanation of events for guilty parties who do not have an honest excuse for their actions or inactions. In my opinion, nine out of ten times “black swans” are just a smoke screen, which I think was the point of your article.